Like a shiny shopfront with no door, Instagram is pretty much the bane of social media marketing. With 400 million monthly active users: the tool is more than just a grid of selfies, cats and well-presented meals. According to a study by Curalate, people interact with brands on Instagram 58 times more than they do on Facebook and 120 times more than on Twitter. However, with strict rules against embedding live hyperlinks, Instagram’s ’unshoppable' caveat presents brands with a selling challenge: how to monetise the app. Retailers have been hunting for the missing link - to tie traffic with revenue - adopting schemes to circumnavigate Instagram’s pesky limitations. In this blog post we’ll explore the creative ways retailers are forging new paths to purchase on the social media platform, from turning hashtags into messages and links into shops. Emerging as one of the most popular solutions to Instagram’s shopping conundrum, software such as Like2Buy replicates Instagram’s photo-library interface - which essentially links photos on brands feeds to products pages. Self-billed as the “missing link” between traffic and revenue, the software enables the user to click the one link Instagram permits (atop a brand’s profile page). Following the Like2Buy link brings the consumer to a gallery of shoppable Instagram images that are ecommerce enabled through retailers’ sites. Another click takes that user to a secure mobile site. Nordstrom was the first to pioneer the technology, with many more following suit, including big brands such as Topshop, Topman, Nasty Gal. American-based retailer, Deep South Pout, lets its users link their billing and shipping address to their Instagram handles in a simple social shopping registration. After registration, users simply have to comment on specific posts with their size and whether they want to "ship it" or "pick it up". Users are then charged and the item will be shipped or prepared for pick up. Similarly, as mentioned in a previous blog post (discussing Instagram strategies), preppy accessory boutique Prep Obsessed uses an application called Soldsie to sell through the comments section on its Instagram posts. Fans can simply comment 'Sold', along with a size/variation and their email address to be sent an invoice for the product. Marc Jacobs employs the trusty steed of email to make Instagram shoppable - by linking its shared images to product emails. For the launch of the new Marc Jacobs Beauty collection on Instagram, the fashion brand developed a ‘like-to-purchase’ approach. To shop the tool, users simply sign up with their email address and Instagram handle on a specially-crafted microsite in exchange for targeted messages. 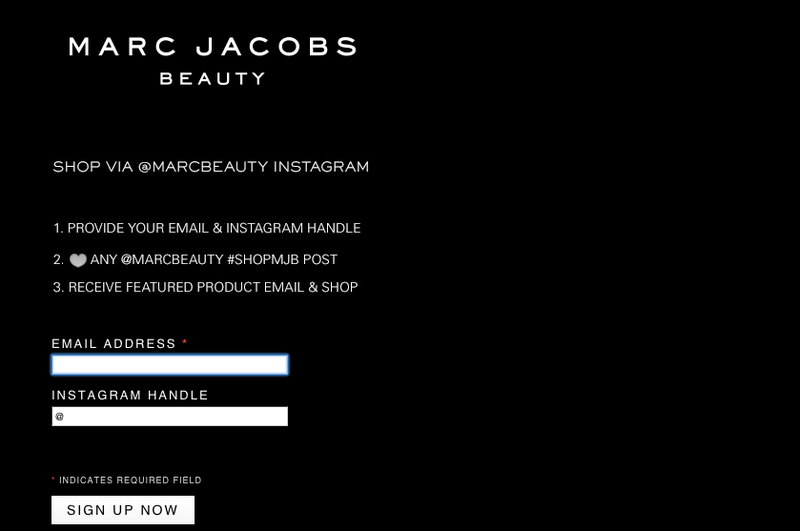 Whenever users ‘like’ any product on the @MarcBeauty Instagram account that has #ShopMJB in the caption, they will receive a product email with details on how to buy it. Users can like as many products as they want and will only receive one email at the end of every week. Product-specific emails include a direct link to the product’s ecommerce page, where additional information is housed along with tutorial-focused content and purchasing options. Other applications such as LiketoKnow.it lets Instagrammers "heart" a post, sending an email visually listing the details of the outfit ready to buy. 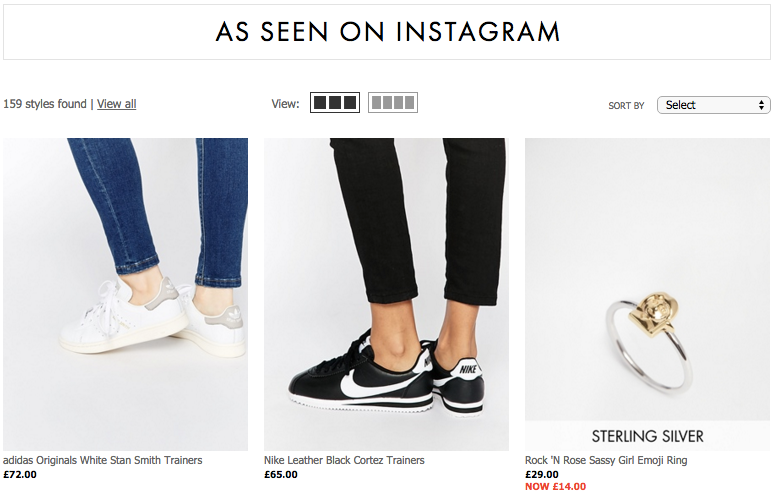 Bypassing third-party software, another way to monetise the tool is by setting up a dedicated Instagram-focused section on your site, such as Asos' "As Seen on Instagram" shop, which is clearly linked in its bio. Taking the same approach as retailing giants such as Nike (with their innovative Nike Women's Instagram Shop), Asos' function lets its customers 'shop the look' in a series of regularly updated shoppable posts that link directly to products featured on their feed. 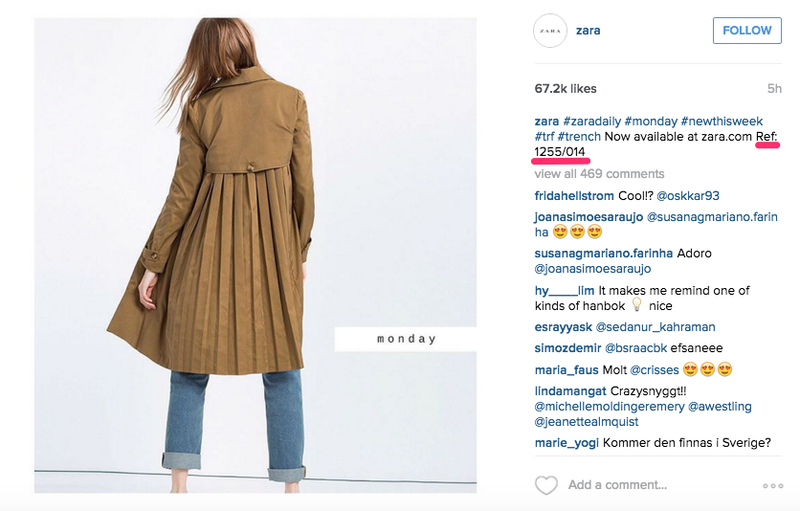 Retailing giant Zara includes product reference numbers in any posts that feature products available on their site - so users can quickly locate products they 'heart' on its website (which is linked in its bio). Alternatively, Instagram has finally rolled out its sponsored posts function, which lets advertisers target users based on relevance. Big brands such as Levis and Adidas are now targeting users with Facebook-style sponsored posts - pushing users off-tool and onto mobile-enabled ecommerce sites with clear shopping CTAs. A case study posted on the Instagram website is claiming sponsored posts resulted in 2.8x higher ad recall than other online advertising. Instagram's strict rules make it unlike any other social tool. Part of the charm of the picture-focused tool is finding creative solutions to bypass the linking caveat, engage users and encourage them off-tool and onto the buy button. More than just a home for branding play, the tool is fast becoming an established home for ecommerce with various hacks and now sponsored posts driving sales. 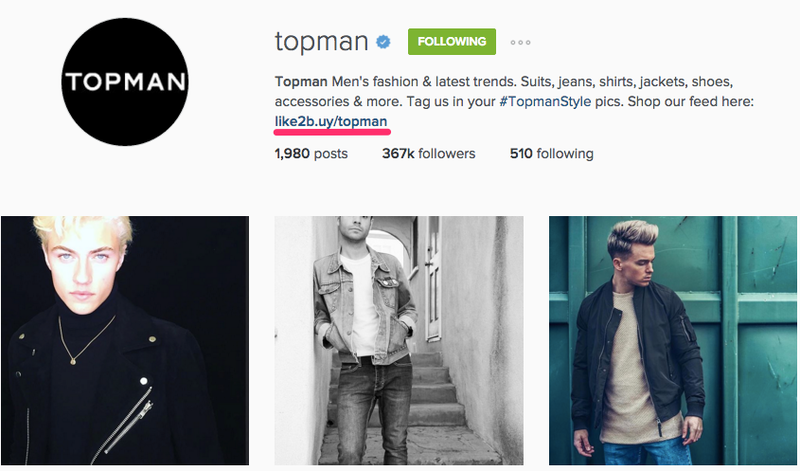 While a picture is worth a thousand words, an Instagram photo could be a sale: retailers need to make their all-important links worthwhile and employ creative ways to utilise the high engagement of the tool and turn pixels into pounds.